What do you buy a girl who has everything? Or in this case, what do you take as a gift to another gardener who has tried everything and has either killed it, thought better of it or got bored with it? Well if you are John Grimshaw (that name again! ), you take them a Paeonia mairei. He told us it was the first peony to flower and it is. Despite the snow and howling gales, chestnut brown fists of foliage could be seen breaking through the ground in February. It has increased steadily to a good foot and a half across in three seasons, withstanding drought one year, deluges the next and this years ever protracted Spring. In fairness, peonies seem to like us. 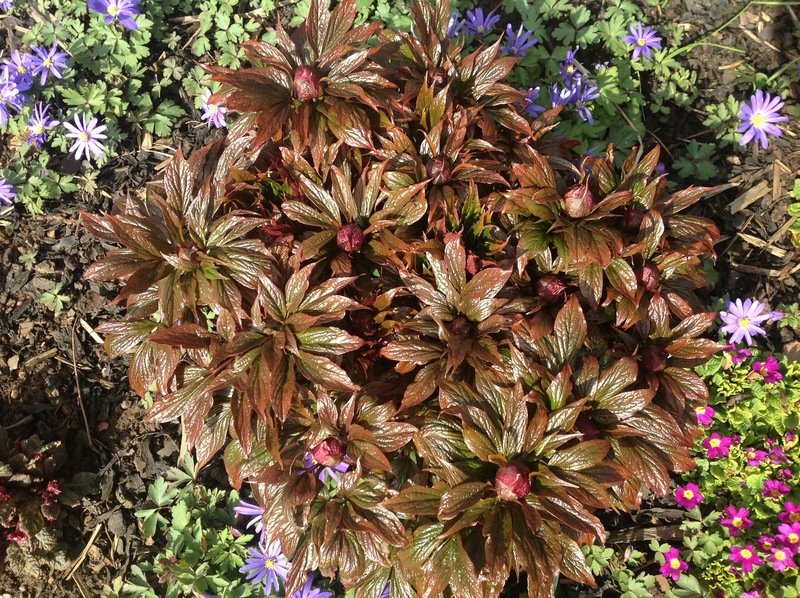 Paeonia veitchii var. woodwardii has been moved every year for the past three and still comes up and flowers. What’s this about peonies sulking if they are moved? Ours should be spinning with dizziness by now. 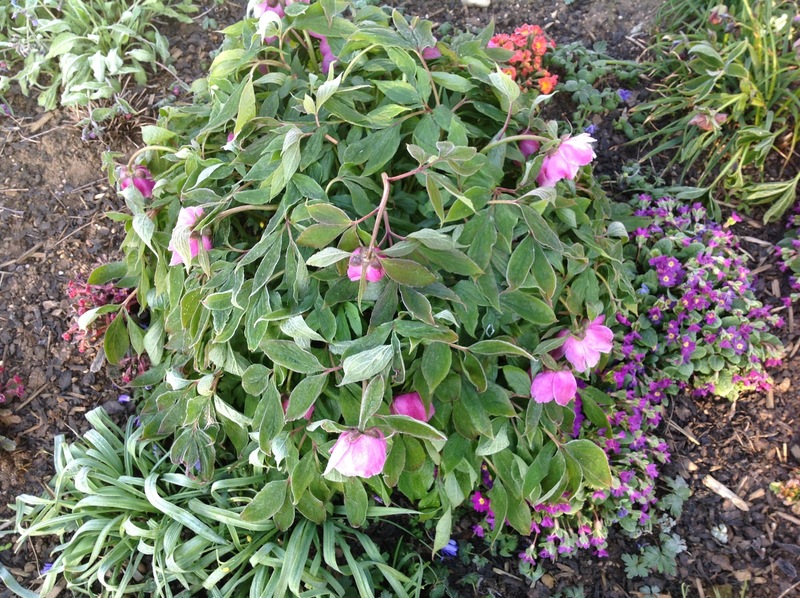 The second picture shows Paeonia mairei drooping with frost but up it came later in the day. I’m not sure Paeonia cambessadesii would do that!